The UK’s New Payment System Operator (NPSO) has taken over the regulatory oversight for running and managing the cheque paper and cheque image clearing systems, starting 1 July 2018. This coincided with the Cheque and Credit Clearing Company Limited (C&CCC) becoming a subsidiary of the NPSO. 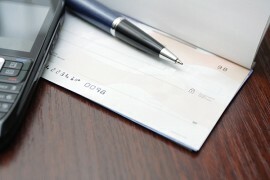 All payments will continue to be processed as usual through the paper clearing system for cheques and through the recently launched Image Clearing System (ICS), which enables digital images of cheques to be exchanged between banks and building societies for clearing and settlement, significantly speeding up the process. On the same date, NPSO also acquired the UK Payments Administration Limited (UKPA), the service company responsible for providing people, facilities and business services to the payment ecosystem. The NPSO has now completed the consolidation of the UK’s retail payment systems having taken responsibility of Bacs Payment Schemes Limited (Bacs) and Faster Payments Scheme Limited (FPSL) on 1 May 2018.